When it comes to makeup, I'll admit, I'm not the most advanced or daring. But even a makeup amateur like me needs good tools. 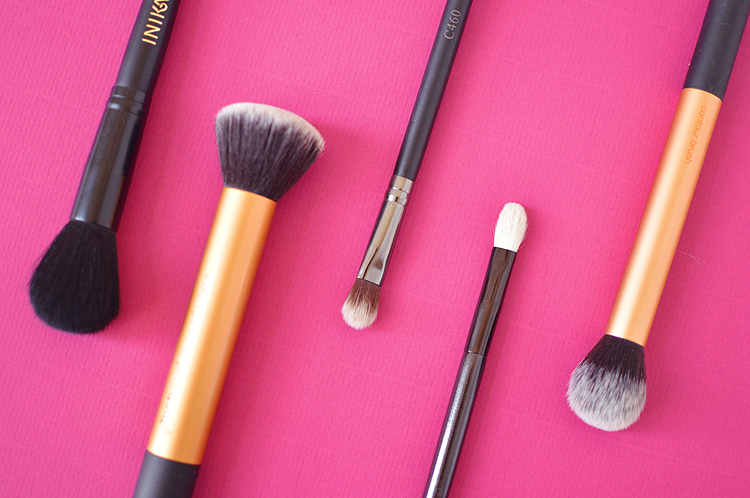 A few good brushes in your arsenal can take makeup application from ehhh to excellent. 1. Inika Blush Brush - This super soft brush is the perfect size for blush, powder, bronzer... just about everything. The bristles are exceptionally soft and flexible (it reminds me a little of that £80 brush that Lisa Eldridge uses for blush but is probably not vegan) which make it perfect for both blending and targeted application. 2. Real Techniques Buffing Brush - The Real Tecniques Core Collection was the first time I ever really invested in some brushes, and 5 years later, the brushes are still with me and still in excellent condition. The buffing brush is pretty much the only brush I use for foundation application and it's also quite handy for blending cream blush and concealer in a pinch. 3. Crown Brush C460 - I use this brush for most of my eyeshadow application, it's dense but still fluffy allowing for shadow to be packed on and blended easily whilst the tapered end allows for more precision than my next pick. 4. No7 Blend & Contour brush - I'm not sure if No7 still make this brush as I can't seem to find the exact one online. This brush is my favourite for those 'one wash wonder' kind of shadows and is perfect for blending colour together and softening edges as it's soft and fluffy, akin to the infamous mac 217 I think. 5. Real Techniques Contour Brush - Not being one for contour this brush still gets plenty of use from me as a concealer brush. It's perfect for blending concealer flawlessly under the eyes and also blending mineral concealer onto blemishes with a dab and swirl sort of technique. 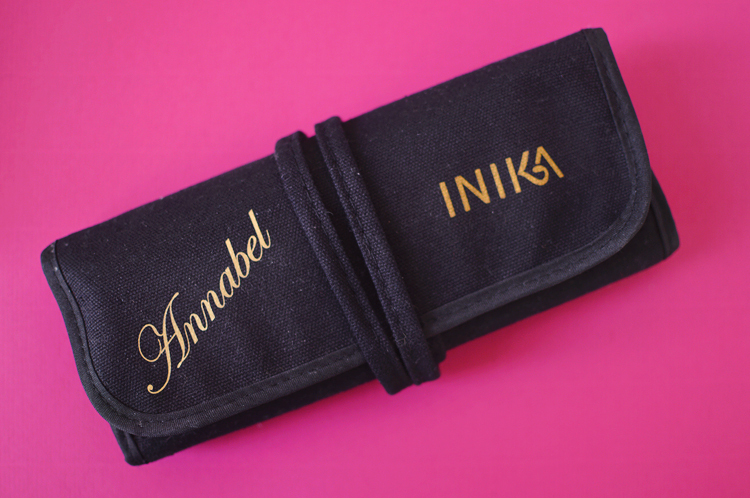 I was recently lucky enough to be sent the Inika Vegan Brush Roll (personalised too! so greatful) which introduced me to a whole host of new brushes (including the Inika Blush Brush) and gave me somewhere better to store my most used brushes other than a little ikea plant pot where they get so dusty. The brush roll comes with 8 high quality vegan brushes and I've kept 5 of the 8 in the brush roll to use regularly, the 3 that didn't make the cut for me were; the foundation brush, concealer brush and lip brush. I don't use flat foundation brushes so this is now repurposed for masks, I already have a fab concealer brush and I never use lip brushes. Though, now I come to think about it I may pop that one back in because it's small and you never know. 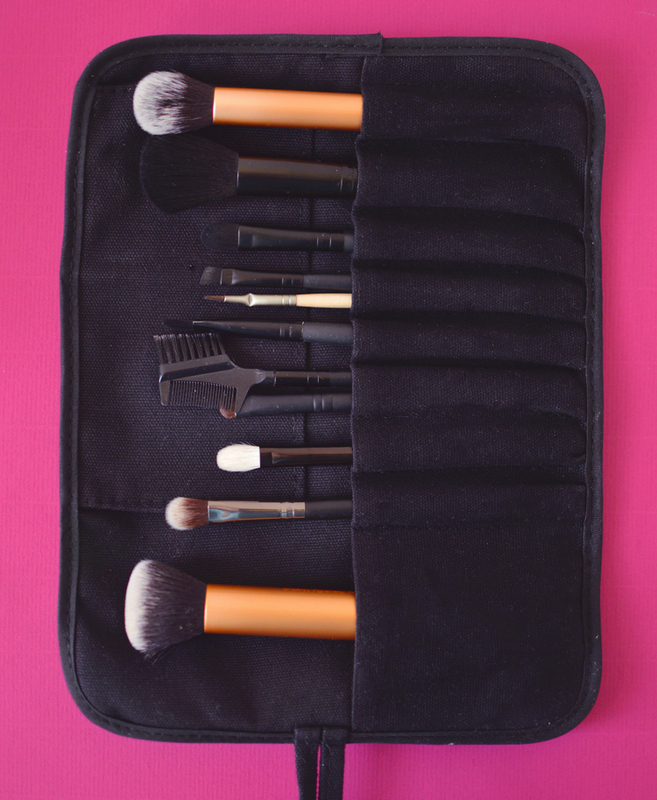 What are you favourite brushes and where do you store them?